Event graphs are used to show events that occurred in one product during a process. They give a view of the processing cycle of events sent to the same tracked object. Configure the Sentinel server connection in API Gateway. See Configure Axway Sentinel server. For more information, see Send event to Axway Sentinel. The following figure shows the filter configuration. 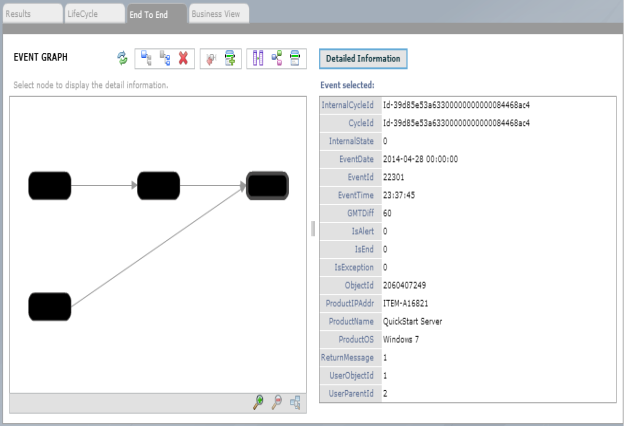 The following figure shows the resulting event graph in Axway Sentinel Monitoring. 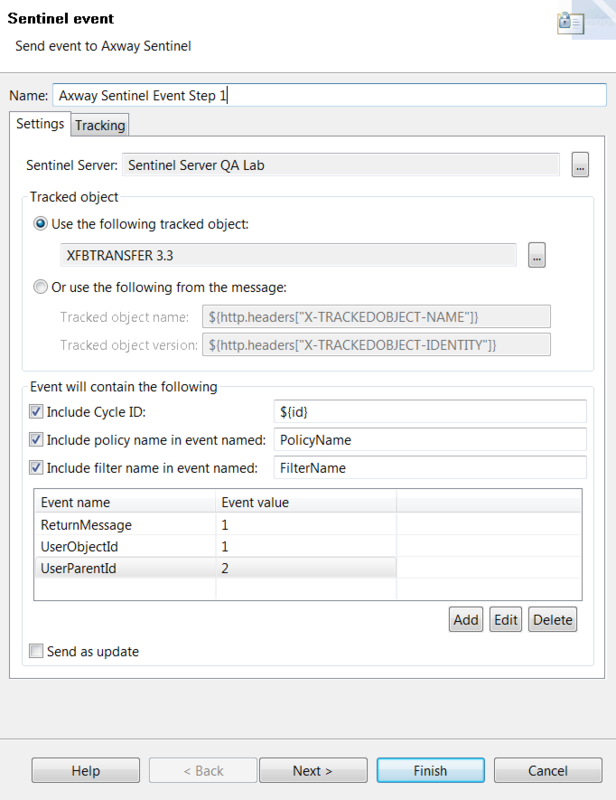 For more information on Sentinel event graphs, see the Sentinel User Guide.